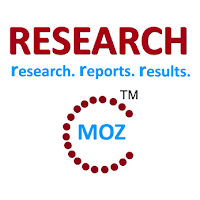 ALBANY, NY, July 2015 -- ResearchMoz.us includes new market research report " Precious Metals Mining Industry in the US and Russia to 2020: Worldwide Market Size, Shares, Growth, Analysis, Trends And Forecast" to its huge collection of research reports. 'Precious Metals Mining in the US to 2020' report comprehensively covers the country’s precious metal reserves and historic and forecast data on precious metals (gold and silver) production to 2020. The report also includes production by state, historic and forecast production by major precious metal mines, historical and forecast precious metal prices, refined precious metal consumption to 2020, demand drivers, competitive landscape, information on the active, exploration and development projects and regulations governing the industry. The US had 3,000t, or 5.4%, of global reserves of gold and 25,000t, or 4.7%, of global reserves of silver, ranking fifth and seventh respectively according to the US Geological Survey as of January 2015. Nevada is the highest prospective region for gold mining with deposits in the Carlin Trend occurring in the form of grains while silver deposits are mainly associated with lead, zinc, copper and gold, with recent discoveries associated with gold occurrences. In 2014, the average price of gold and silver were lower by 10% and 19.7% over 2013 respectively. The report contains an overview of the US precious (gold and silver) metals mining industry together with information on reserves, historical and forecast production to 2020 with supporting factors, historical and forecast refined metal consumption to 2020 and demand drivers. In addition, it provides information about gold production by states, precious metal production by major mines, precious metals prices, demand drivers, competitive landscape, active, exploration and development projects and the fiscal regime governing the US mining industry. 'Precious Metals Mining in Russia to 2020' report comprehensively covers the country’s precious metal reserves and historic and forecast data on precious metals (gold, silver, diamond and platinum) production to 2020. The report also includes production by federal districts, historic and forecast production of selected precious metal mines, precious metal historic and forecast prices, refined precious metal consumption to 2020, consumption by end-use, demand drivers, profiles of major precious metals mining companies, information on the active, exploration and development projects and regulations governing the industry. Russia ranked third in the world with 5,000 tonnes (t) or 9% of global reserves of gold as at January 2015. Substantial gold reserves can be found in the states of Krasnoyarsk Krai, Zabaykalsky Krai, Khabarovsk Krai, Magadan Oblast, Sakha (Yakutia) Republic and Amur Oblast with metal grades in the range of 0.2 grams/tonne (g/t) to 19.2g/t while, the country’s silver reserves are located in the federal districts of Urals, Siberia and the Far East with grades varying between 4g/t to 400g/t. Russian diamond reserves were 40 million carats in January 2015, ranking fifth globally and accounting for 5.5% of the global total. Simultaneously, platinum group metal reserves (PGM) were 1,100Mt, accounting for 1.6% of global PGM reserves. Platinum is mainly produced as a by-product of nickel and copper and deposits are mostly found in the Murmansk Oblast and Krasnoyarsk Krai in the Far East and Ural regions. The report contains an overview of the Russian precious metals (gold, silver, diamond and platinum) mining industry, together information on reserves, historic and forecast production to 2020, historic and forecast refined metal consumption and consumption by end-use to 2020. Further, it provides information about production by Russian federal districts, precious metals prices, demand drivers, competitive landscape, active, exploration and development projects and the fiscal regime governing the Russian mining industry.